What is the Invest In Your Health program? 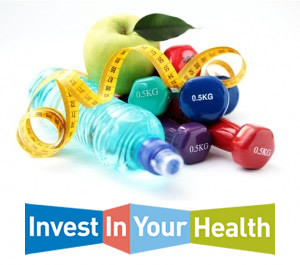 Anytime you see the Invest In Your Health logo you should know that it is a program or tool organized by the Indiana State Personnel Department (INSPD). You can trust that each program listed under Invest In Your Health Indiana is one that has been thoroughly vetted by INSPD and can help you navigate your way through health issues. Being an active partner in your health maximizes your chances of living a long, healthy and productive life. INSPD’s Invest In Your Health program has several options to inform you about the health care system and spend your time and dollars more wisely. According to the Centers for Disease Control and Prevention (CDC), 70 percent of diseases are preventable, which means more than 980,000 deaths are caused by a preventable disease each year. Your lifestyle choices have more impact on your health and longevity than anything else. One way to prevent possible diseases is to live a healthy lifestyle. Four modifiable health risk behaviors—lack of physical activity, poor nutrition, tobacco use and excessive alcohol consumption—are responsible for much of the illness, suffering and early death related to chronic diseases. The best way to have a healthy lifestyle is something you already know: make good decisions for you. Which of these healthy choices have you already made? Do you follow most of these guidelines? If so, great! You are taking personal responsibility for your own health and wellbeing and decreasing your risk of developing disease. If not, Invest in Your Health can get you started on the path to increase your chances of living healthier and longer lives. Following these recommendations can lead to a better health experience, a collaborative relationship with your health care providers and, ultimately, better health outcomes. Reducing your lifestyle risks not only protects you from long-term disease, but can save you from catastrophic injury or death. You are the one who can make the biggest impact on your own health. To maintain or improve your health, you not only need to make good lifestyle choices – you need support and help to do so. So think about what you want in your healthcare and go for it. Become intentional, informed and involved. You will undoubtedly see some personal health benefits.